Sometimes you need to capture a particular screen(window) or a box etc on your computer, so there are a lot of softwares available for capturing screenshots/snapshots of your pc and then edit it(when required). There may some softwares that you need to pay for, but here we listed some absolutely free softwares which you can download for free. You know In windows, you can capture a snapshot in your pc without using any software(using Snipping tool or print scrn key) but still if you want to some editing (adding text or cropping area etc) then you must to run photoshop to do that. But using one of the below tool, you don't need to edit captured snapshot in photoshop or other photo editing software. Even some of these tools can be used to edit your photos and make it more beautiful. Snapdraw is a very useful Free tool which not only allow you to capture a snapshot of a window, pop-up box,a single tab[With shadow] etc. But there are some more useful and some cool features to edit your snapshots or other photographs and give them a new look. 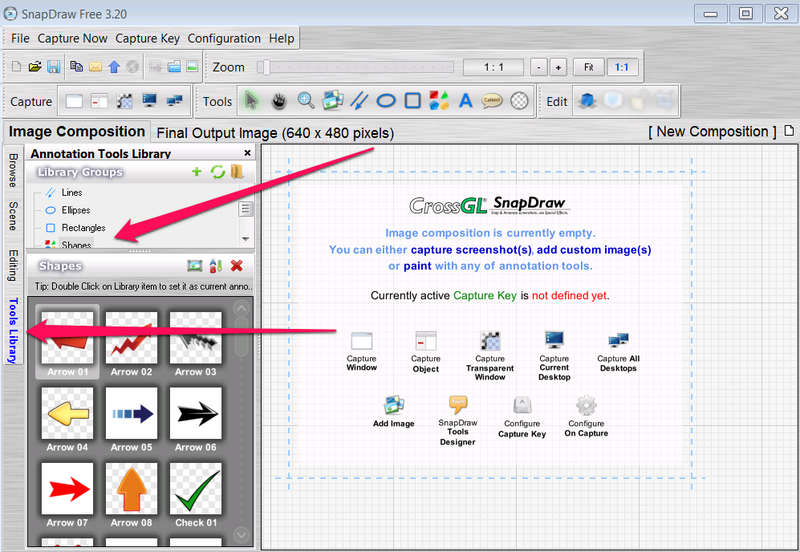 If you are looking for a basic free software tool for capturing a snapshot then Lightshot is a good one for you. This is a little and simple tool. What you have to do is to just Download it Free and install. This will be always active on the system tray! So whenever you want to capture snapshot just Press "Prent Screen" key on your keyboard,select the area you want to capture. Annotating tools e.g Text tool, arrow, Rectangle and some tools are available so you can add text or draw an arrow to the area you want to mention etc.You can also share it to your social network. 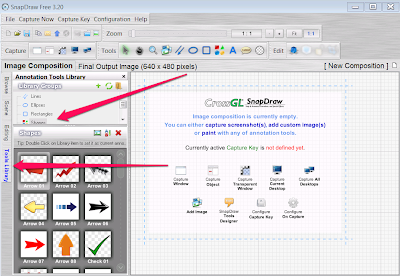 Yes Greenshot is a Free to use tool which allows you to capture a screenshot of a particular window or a full screen, and then edit the captured screen shot. 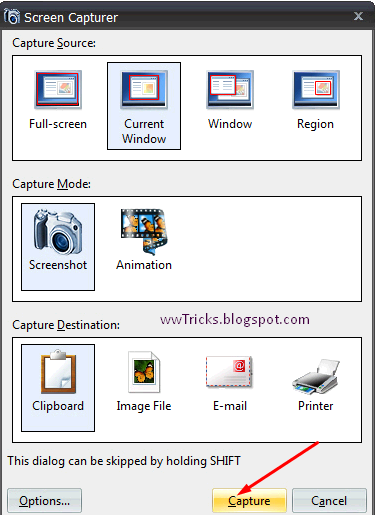 ScreenShot captor is a free tool which allow you to capture a snapshot of full screen,active window etc and then Annotate the screenshot you captured. 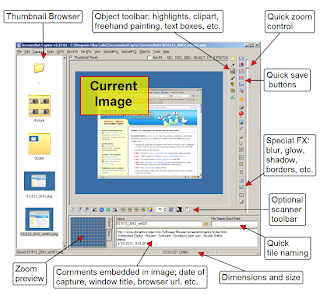 A Free-to-use utility which can be used to capture a screenshot or screenCast. Caotured screen shots can be save such popular formats i.e .png, .gif, .jpg, .bmp and .tiff. Support for multiple monitors etc. Szoter is a free tool which can be used to capture a screenshot on your pc using a Free desktop tool but also allow you to capture and edit it online for free. A Free tool to be used for capturing the entire full screen or an active window and save it as a bmp file. Jing is also a tool which can be used to capture screenshots and annotate, so start getting with Jing Now! So above there was some free tools mentioned which can be useful for you, don't forget to share this post on any of the social network you are using (i.e Share on facebook, twitter,StumbleUpon or Digg it), also leave a comment which one you liked? It is recommended that subscribe to our E-mail updates to get some more Free tools that we will be sharing and you will be mentioned through E-mail. Woo.. nice post admin, Keep it up!! !